*This blog was written last weekend – I just didn’t have the wifi to post it! After 5 days of living out of a backpack my crazy long weekend has finally come to an end. On Thursday morning I caught a 5:30 am bus to the Ancient city of Kandy that is located in central Sri Lanka. The ride takes about 5 hours and cost $1, but it is through the mountains so if you get motion sickness ( like the person sitting next to me apparently had) then it will not be a pleasant journey. The best food in all of Kandy! A place called License to grill. They are only open from 4:30-10 but if your in Sri Lanka it’s a must! Once in Kandy my friends and I set about finding a cheap hostel to spend the night which was not the easiest thing in the world because it was the weekend of Poya (full moon celebration). We eventually succeeded and then spent the afternoon shopping in the amazing markets, walking around the giant lake, and indulging in some Pizza Hut. 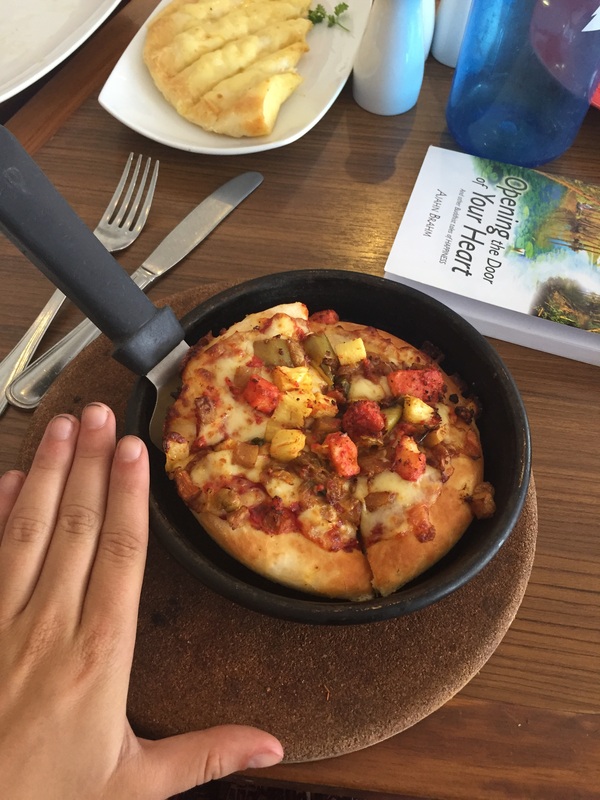 Pizza Hut in Sri Lanka – the “small” here is defiantly a lot different than back in the states! We went to bed early because the next day we caught a train to a town called Kitugala so we could give white water rafting a go! After rafting we were exhausted and headed back to Kandy to get a quick dinner and head off to bed because the next morning I had to catch a 5am train south to the beach city of Galle. 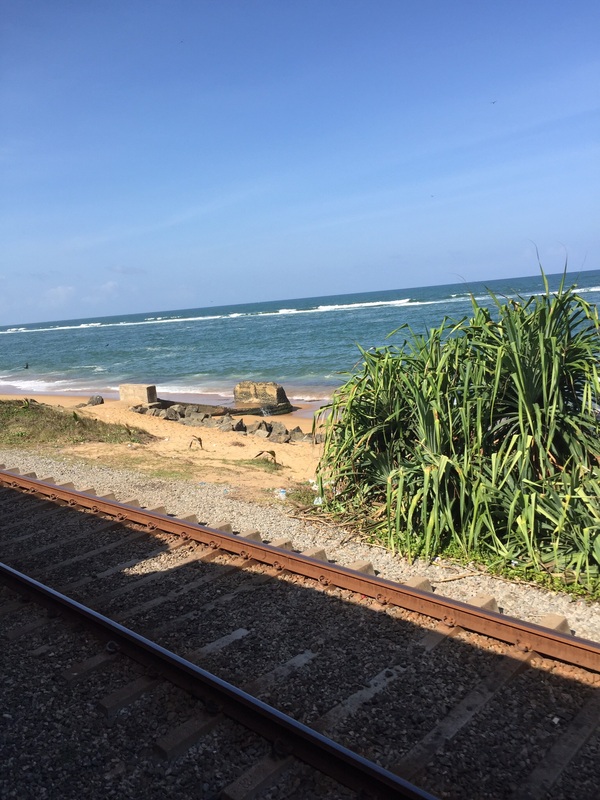 Picture from the train on our way to Galle. Galle is probably the most touristy part of Sri Lanka and had the only resorts I have seen so far. The beaches are incredible, there are palm trees everywhere, and the waters are filled with cute colorful fishing boats. Although it took 7 hours to get here and we only spent one night it was completely worth it. 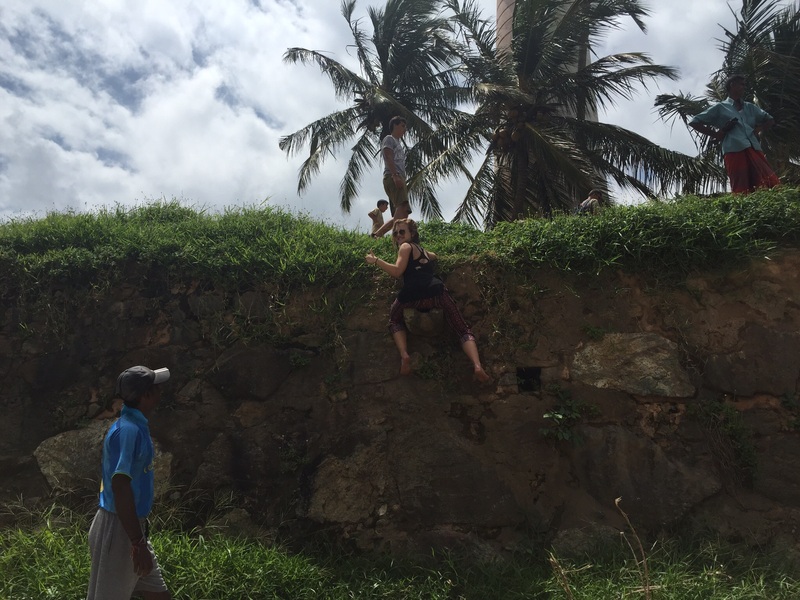 Galle was unlike any of the other cities I have seen and gave me a completely different perspective of the country. 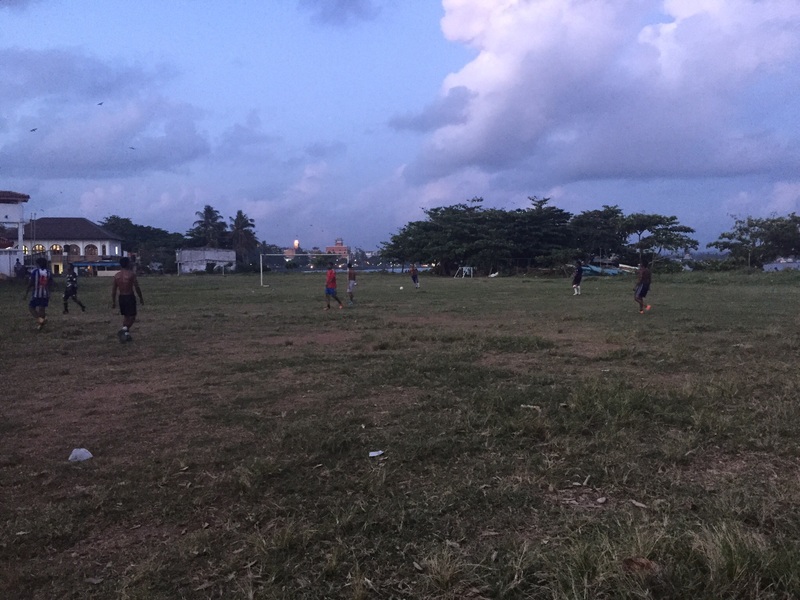 While walking through the city my friend and I made friends with a local who invited us to go and play soccer with him and some of his friends so of course we couldn’t refuse! It was so much fun and a bunch of people stopped to watch us as we made fools of ourselves against the very skillful Sri Lankans. The soccer players then insisted on taking us to their local fair that was going on that night. It was super cute and reminded me of a low grade state fair. 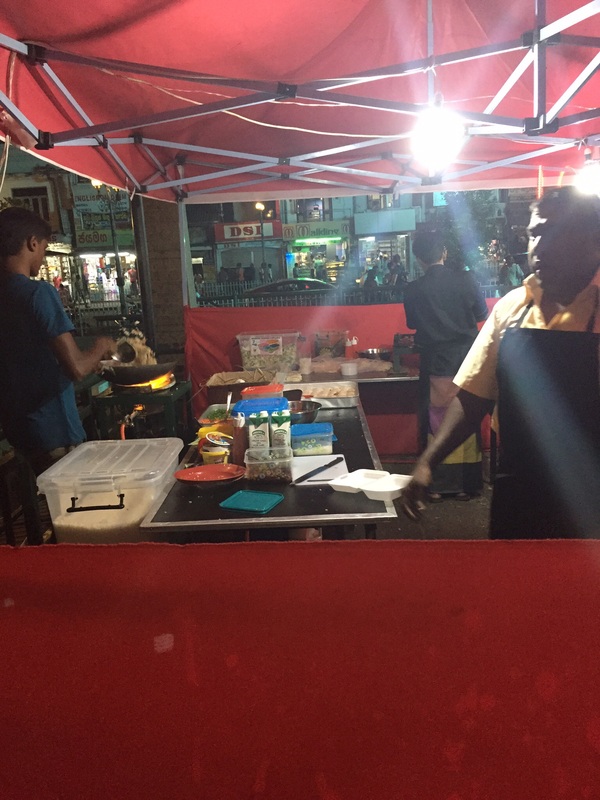 There were rides, games, and of course Sri Lankas version of carnival foods! The next day we took a short bus to Amalangoda to see some sea turtles before beginning our journey home which consisted of two train rides, one bus, and a tuk tuk. I am looking forward to a relaxing next few days on the Conservation and then next weekend it is off to Colombo again!